This Memorial Day weekend, we're releasing a very special beer that we've been working on for over three years. It's the very first SPON beer we added a specialty ingredient to (i.e. an ingredient other than water, grain or hops). 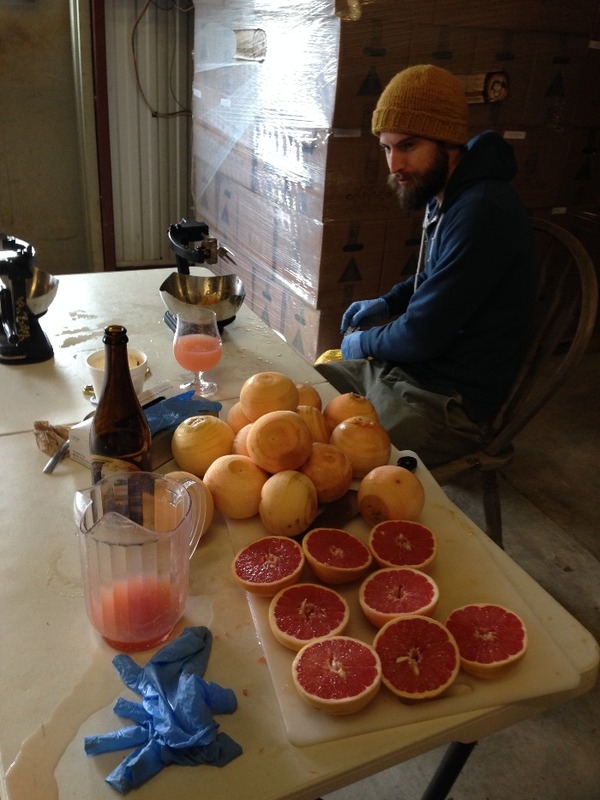 Back on a very cold day in February of 2015, our former Head Brewer Garrett Crowell decided to zest and juice a big bag of Texas grapefruit. He was fueled by Le Petit Prince grapefruit mimosas as he worked! 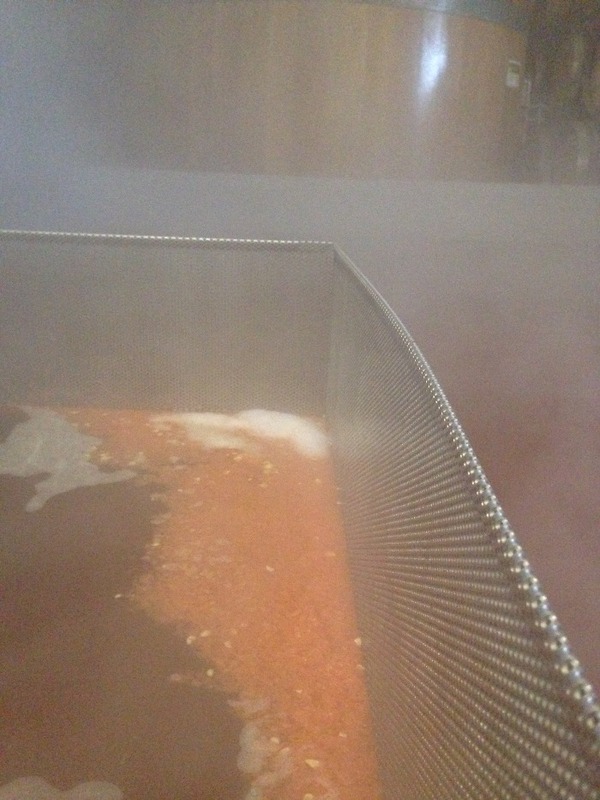 As the sun went down and the coolship filled, he added the fruits of his labor (:laughing:) to the wort. Overnight the Texas grapefruit juice and zest steeped in the wort as it cooled. Over the next three years, the beer slowly matured in our barrel room, all the while gradually transforming into something we believe is greater than the sum of its parts. 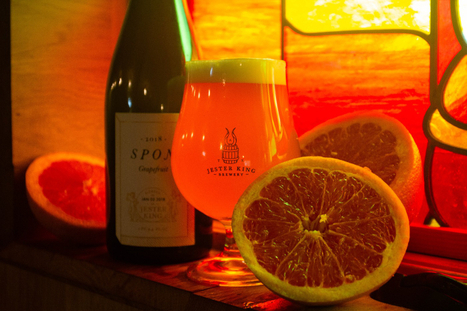 The interaction of fruit, particularly citrus, and native yeast is fascinating to us. 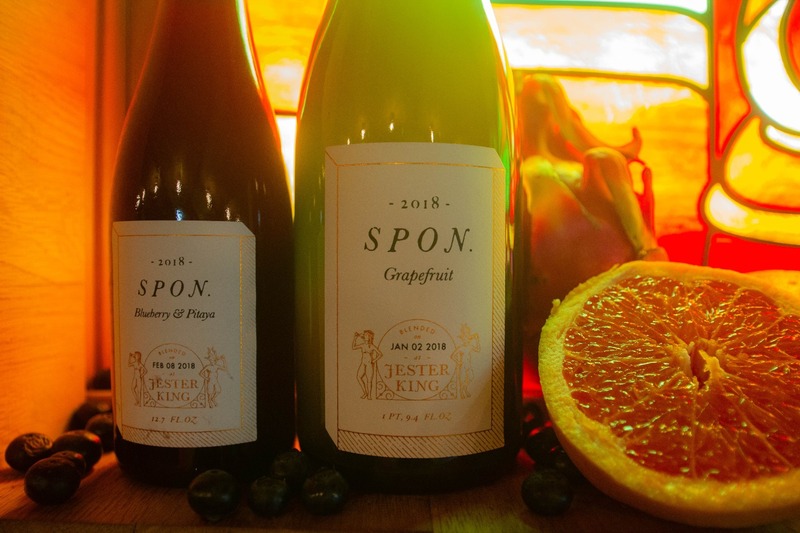 Bright, fresh aromas and flavors mature into wildly complex, over-ripened notes of fruit and funk that we greatly enjoy. After racking the three year old beer out of oak and blending, we refermented it with another 160 pounds of Texas grapefruit (zest and juice) from G and S Groves. The result is a beer we couldn't be more excited to share and marks a milestone in our brewery's history. We hope you enjoy it as much as we do. 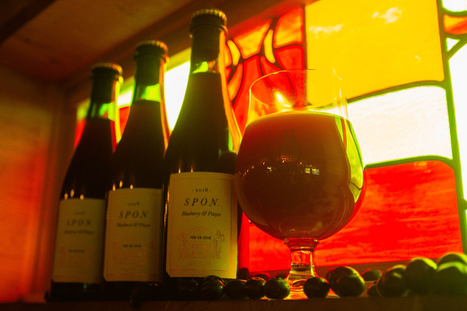 This weekend, we're also releasing another SPON beer -- 2018 SPON Blueberry & Pitaya! It's a blend of 50% three year old beer and 50% two year old beer, refermented with Texas-grown blueberries and pitaya (a.k.a. dragon fruit). While the blueberry refermentation creates fruitiness and vinouness, we find the pitaya adds a layer of mouthfeel and texture. The underlying fermentation character of the old beer still shines through, despite the fruit refermentation and years of oak contact time. The acidity is mellow and balanced, which we believe is a hallmark of our barrel program and blending. 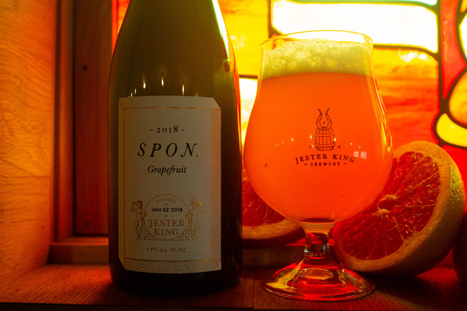 2018 SPON Grapefruit is 6.2% abv, has a specific gravity of 1.002, 38.0 IBU’s, and a pH of 3.42. 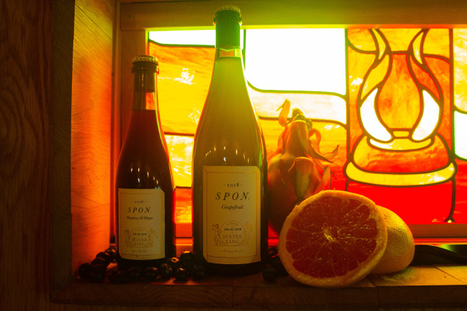 It will be available by the glass and in bottles to go (750mL/$36). 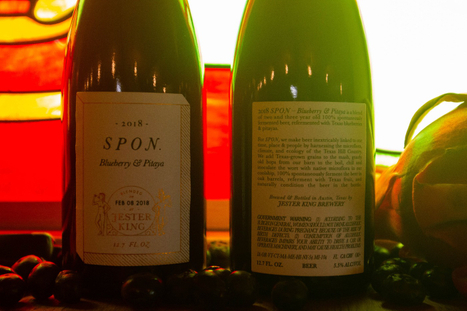 Around 1,150 bottles are available with a bottle limit of six per customer per day. This beer will not see distribution. 2018 SPON Blueberry & Pitaya is 4.9% abv, specific gravity of 1.003, 13.0 IBU’s, and a pH of 3.25. 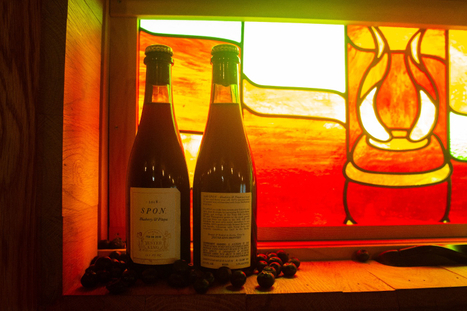 It will also be available by the glass and in bottles to go (375mL/$25). Around 2,000 bottles are available with a bottle limit of six per customer per day. There will be no distribution of this beer.